Are we all going to die from an Iranian-built, North Korean ICBM? In retrospect, we should have known North Korea might finally succeed (mostly) in launching a satellite into space. Last week, the state-run Korean Central News Agency announced North Korea was extending the launch window after engineers found a "technical deficiency in the first-stage control engine module." The success, more or less, of the Unha-3 launch raises important questions. Does North Korea have a functioning ICBM now? Is this an Iranian ICBM? Are we all going to die? Maybe, I don’t know, and yes — but not today. First, this is a lot like an ICBM, even if it is not quite precisely the same thing. You have undoubtedly read that a three-stage Taepodong-2, which is what we call the Unha-3, could rain death and destruction as far as 15,000 kilometers away. That is an U.S. intelligence community judgment assuming a slightly modified missile with a 500-kilogram payload. North Korea’s plutonium-based nuclear weapons are probably a bit larger than that, and in any event the payload must also accommodate a few hundred kilograms of shielding. (Reentering through the atmosphere is very hot.) A 1,000-kilogram payload would reduce the range of a three-stage Taepodong. David Wright and Ted Postol, both physicists, estimated that, if the Unha is structurally sound enough to handle 1,000 kilograms of payload, the missile could travel about 10,000 kilometers — far enough to reach about half of the lower 48 states. David wrote me the other night to say that they’ve concluded that is a bit of an overestimate and that I’d be safer to say 8,000-10,000 kilometers. The North Koreans, in any case, have repeatedly said they have missiles that can reach the United States. Still, the Unha is not an ideal ICBM. In addition to issues with warhead mass reducing range and compromising the structure, there is the issue of fueling the missile. The several-day period during which North Korea erected and fueled the missile has evident drawbacks from a military operations perspective. (Although the quick replacement is worth noting. Perhaps there was a second airframe on site.) North Korea could attempt to deploy the missile in silos or perhaps go the Chinese route of storing the missiles in mountains, rolling them out to launch. They haven’t done that yet. What North Korea has done is to parade a much better idea though Kim Il Sung Square this spring. If I had to guess, North Korea’s ICBM will be a three-stage mobile missile with storable propellant that looks very much like the probable mockups we saw trundling down the avenue. Although some of my colleagues are not convinced this is a plausible path forward, I’ll take the North Koreans at their (belligerent) word until I have some compelling reason to think otherwise. The real value in any Taepodong-2 is what it teaches the North Koreans about staging — the tricky task of stacking one rocket on top of another — and the other niceties of building long-range missiles. These are useful skills that have been in short supply for the North Koreans as of late. Second, we’ve heard a lot about the presence of Iranians at the test. There are many reports of Iranian observers at prior launches — in 2006, 2009, and this spring — but it’s always been hard to tell whether they’ve been technicians or just VIPs in town for the bulgogi. Prior to this launch, U.S. and South Korean news outlets reported that the Iranians had permanently stationed a delegation from Shahid Hemmat Industries, maker of the Shahab-3 and Ghadr missiles, in North Korea. The relationship between Pyongyang and Tehran is an interesting one. Iran started out as a customer, like Pakistan, eventually purchasing Nodong missiles from the North Koreans. (AQ Khan reportedly made his early contacts through Pakistanis working with North Koreans in Iran, during the Iran-Iraq War.) But while Pakistan contented itself with a copy of the Nodong called the Ghauri, Iran made the missile its own, substantially redesigning it to create the Shahab-3. A few years ago, North Korea was rumored to have sold a small number of Russian SS-N-6 missiles to Iran. While North Korea appears to have developed a modified version that we call the Musudan, Iran seems to have used small engines (vernier engines if you are a rocket nerd) to power the upper stage of its Safir-2 launch vehicle. The Unha appears to use this Iranian innovation as its third stage. It is possible that the flow of talent and expertise has now reversed itself, with Iran helping North Korea. The apprentice has, perhaps, become the master. Iran, for whatever reason, has yet to launch something that would resemble an Unha. The Iranians have showed off a rocket, called the Simorgh, that appears to use a similar cluster of Nodong-like engines as the first stage. Perhaps Tehran is inhibited by international scrutiny, or has a preference for a different path forward, such as solid-fueled missiles. Third, all we all going to die? Well, yes — that along with taxes is a certainty. But probably not from a Taepodong-2. It is always a challenge to strike the right level of concern about the North Koreans. When not busy making fissile material for nuclear weapons, launching rockets, or kidnapping Japanese citizens, the North Koreans are shelling their South Korean neighbors and sinking their corvettes. 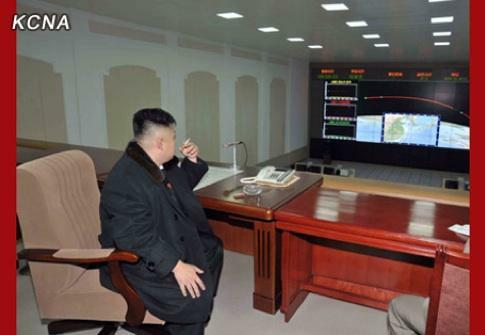 On the other hand, a good deal of those rockets blow up in flight, and the North Koreans can’t help but release pictures of their rotund Respected Young General sitting at a computer console, smoking a cigarette. What on earth is going on in these people’s heads? A clue, which a colleague and I have written about elsewhere, might found in a recent five-part North Korean film, The Country I Saw. This is a big-budget production from the state film studio about a Japanese professor of international relations, Aiko Kayama, who teaches in Tokyo. 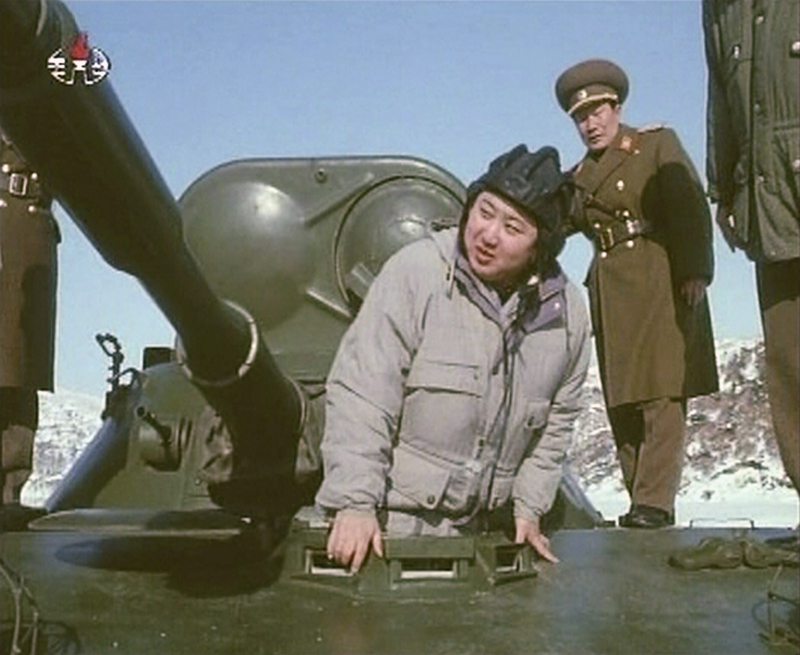 The film is propaganda, as the writer explained to the Chosun Sinbo, depicting "a series of international events surrounding North Korea from an ‘objective point of view’ so that our viewers can realize themselves, without any explanation or objectives, that the our nation’s path is justifiable." These events include missile and nuclear tests. The film offers a rather depressing account in which North Korea’s missile and nuclear programs are seen as integral to the survival of the North Korean regime. The ideological basis of the state has been replaced with a rationale based on the material measures of power. At one point, Professor Aiko launches into a long explanation of why "the current global politics transcends theories and ideologies and is now based on physical power such as missiles and nuclear." Clearly, John Mearsheimer is popular in Pyongyang. The good news is that the film reiterates that North Korea badly wants recognition from the United States, ultimately in the form of normalized relations. The Country I Saw ends triumphantly with a visit by Bill Clinton, touting his April 2009 mission to free two American journalists as a major step forward induced by North Korea’s growing military might. That’s also the bad news. The movie could not be clearer that North Korean leaders are hardly likely to bargain away the nuclear weapons and ballistic missiles that form the paltry basis for the state’s legitimacy and security. North Korea’s very existence, as expressed in the film, is a function of capabilities like those on display this week. During the Clinton administration, the United States and North Korea explored a verifiable end to North Korea’s missile programs in exchange for international assistance, including space launches for North Korean satellites. Those efforts look much less likely to bear fruit today. Despite our long-standing assertion that we will not "accept" a North Korean nuclear capability, that seems to be pretty much where we are today. The good news is that we have some experience with containing a nuclear-armed state that poorly provides for its citizens while spending vast sums to create a garrison state. Of course, North Korea is not the Soviet Union. 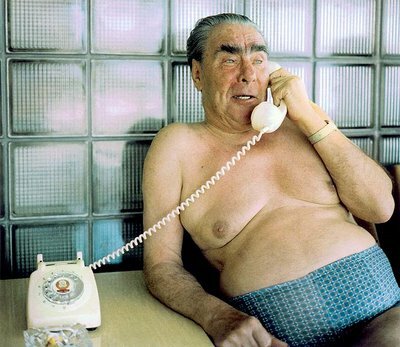 And Kim Jong Un is not Leonid Brezhnev. But it is easy to look at the Young General, wedged in a tank or smoking a cigarette, and think of Marx’s witty comment comparing Louis Napoleon to his more famous uncle: "Hegel remarks somewhere that all great world-historic facts and personages appear, so to speak, twice. He forgot to add: the first time as tragedy, the second time as farce."